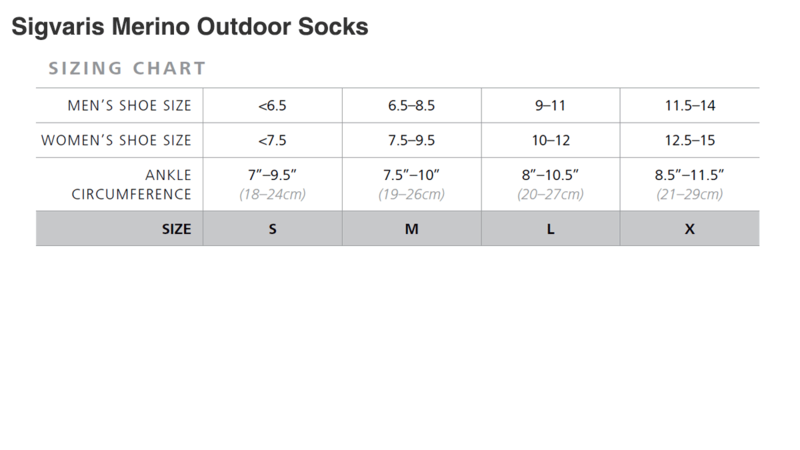 Sigvaris Merino Outdoor Performance Socks combines high quality Australian Merino Wool with accurate compression. Merino Wool is incredibly comfortable and doesn't itch your skin. It's durable and insulates your legs and feet from weather that's too hot or too cold. This special wool also absorbs 35% of it's weight in water to keep your skin dry. Choose size using shoe size.